As Glaswegian novelist Alexander Trocchi wrote in his spellbinding essay “The Invisible Insurrection of a Million Minds” (1962), “There is in fact no such permanence anywhere. There is only becoming.” His words reflect a city that was once “the workshop of the world”—but has in the last twenty years emerged from industrial decline as a post- Fordist shopping and services center. 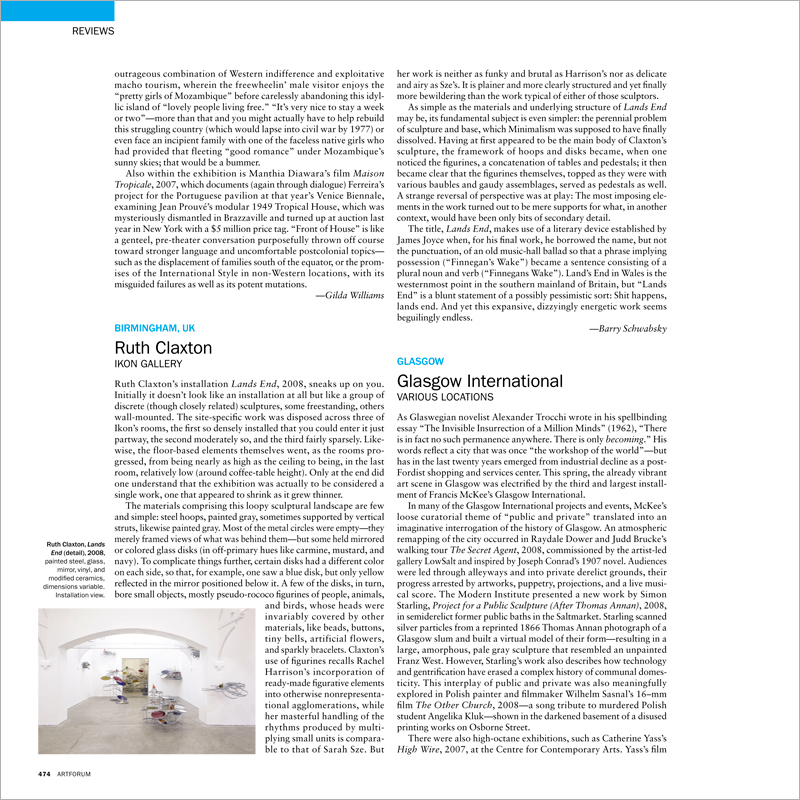 This spring, the already vibrant art scene in Glasgow was electrified by the third and largest installment of Francis McKee’s Glasgow International.